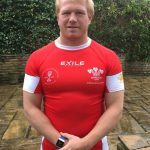 In 2009 Wales won the Sevens Rugby World Cup. 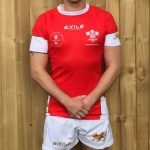 The winning squad, coached by Paul John of Pontypridd, included Rhodri McAtee, Lee Williams, Tom Isaacs, Craig Hill, James Merriman, Tal Selley, Aled Brew, Aled Thomas, Rhys Webb, Richie Pugh, Dafydd Hewitt and Lee Beach. 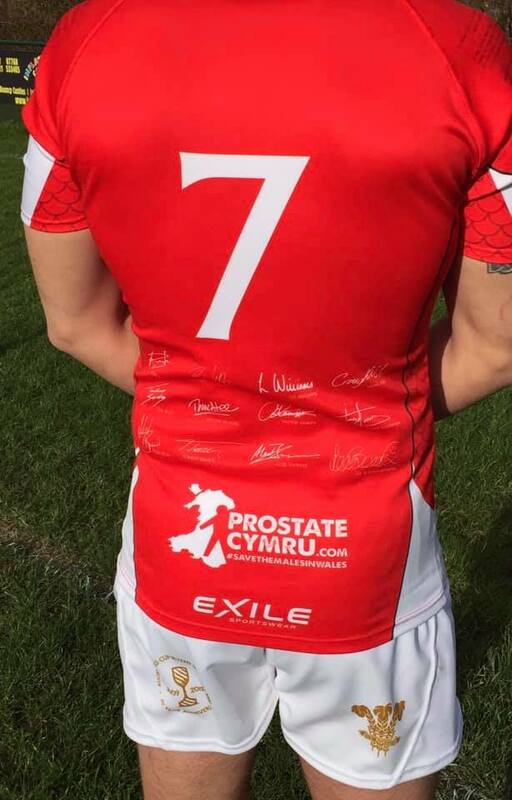 This December the team are reuniting, with the help of the Welsh Rugby Charity Vets, and returning to Dubai for a ten year anniversary tour. 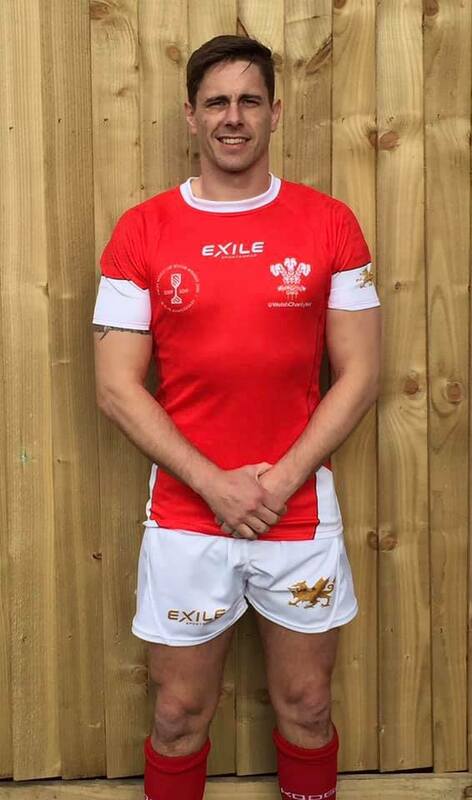 In addition to the team, rugby legend Shane Williams MBE will also be leading a touring party of supporters. 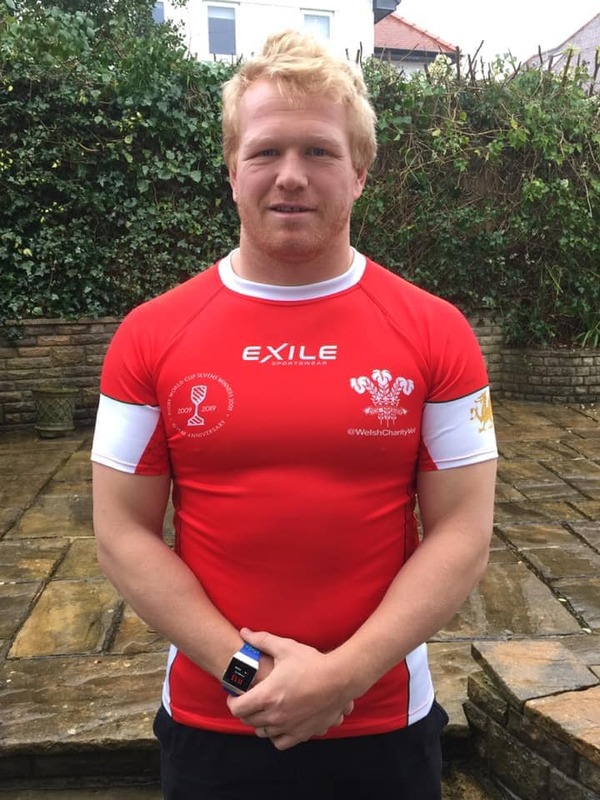 The organisers have teamed up with Swansea based company THG Holidays to put together a fantastic package for the trip which runs from 2nd to 7th December. 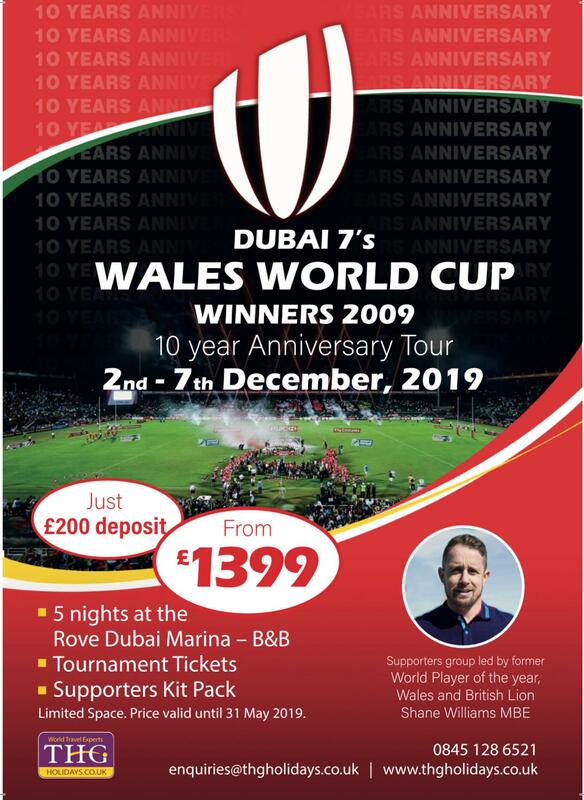 The package is £1399 (£200 deposit) and includes five nights at the Rove Dubai Marina, tournament tickets, a supporters kit pack, a gala dinner, sunset safari tour and return flights with Emirates. 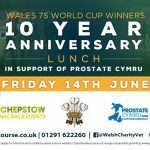 The anniversary tour will be raising money for Prostate Cymru, the leading prostate health charity in Wales supporting men with benign prostate disease and prostate cancer. 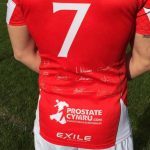 The team have already started fundraising by selling exclusive commemorative shirts featuring the match scores, player signatures and tournament write up produced by North Wales based Exile Sportswear. 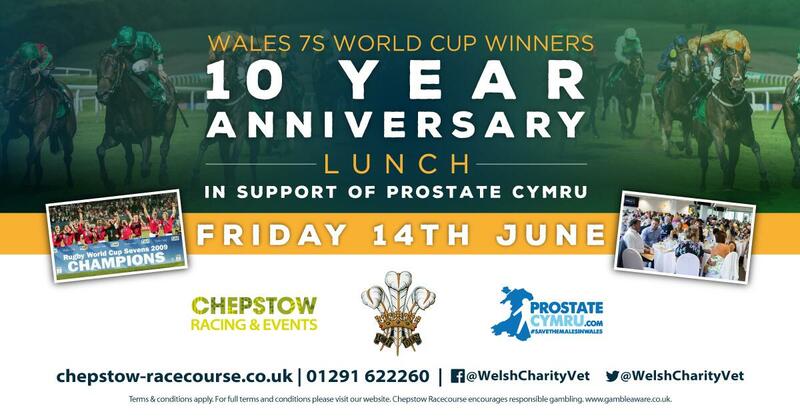 An anniversary lunch in support of the charity has also been organised for Friday 14th June at Chepstow Racecourse featuring a day of racing and hospitality with the 2009 squad as guests.